Ever since the fall of the Severan dynasty in 235 AD, rivals for the imperial throne had bid for support by either favouring or persecuting Christians. The previous Edict of Toleration by Galerius had been recently issued by the emperor Galerius from Serdica and was posted at Nicomedia on 30 April 311. By its provisions, the Christians, who had “followed such a caprice and had fallen into such a folly that they would not obey the institutes of antiquity”, were granted an indulgence. the same shall be restored to the Christians without payment or any claim of recompense and without any kind of fraud or deception. The actual letters have never been retrieved. 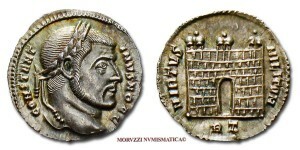 However, they are quoted at length in Lactantius‘ On the Deaths of the Persecutors (De mortibus persecutorum), which gives the Latin text of both Galerius’s Edict of Toleration as posted at Nicomedia on 30 April 311 and of Licinius‘s letter of toleration and restitution addressed to the governor of Bithynia and posted at Nicomedia on 13 June 313. The Edict was in effect directed against Maximinus Daia, the Caesar in the East who was at that time styling himself as Augustus. Having received the emperor Galerius’ instruction to repeal the persecution in 311, Maximinus had instructed his subordinates to desist, but had not released Christians from prisons or virtual death-sentences in the mines, as Constantine and Licinius had both done in the West. — “Edict of Milan”, Lactantius, On the Deaths of the Persecutors (De Mortibus Persecutorum), ch. 48. opera, ed. 0. F. Fritzsche, II, p 288 sq. (Bibl Patr. Ecc. Lat.XI). Since Licinius composed the Edict with the intent of publishing it in the east upon his hoped-for victory over Maximinus, it expresses the religious policy accepted by Licinius, a pagan, rather than that of Constantine, who was already a Christian. 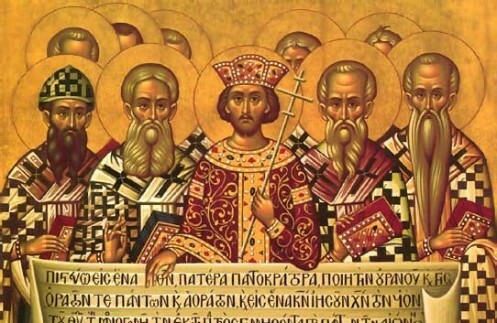 Constantine’s own policy went beyond merely tolerating Christianity: he tolerated paganism and other religions, but he actively promoted Christianity. 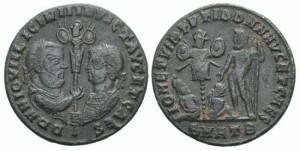 Although the Edict of Milan is commonly presented as Constantine’s first great act as a Christian emperor, it is unlikely that the Edict of Milan was an act of genuine faith. The document should instead be seen as Constantine’s first step in creating an alliance with the Christian God, who he considered the strongest deity. At that time, he was more concerned about social stability and the protection of the empire from the wrath of the Christian God than he was for justice or care for the Christians. 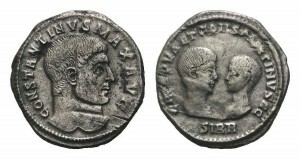 The edict is more indicative of Roman culture’s obsession with seeking the gods’ intervention than of Constantine’s or Licinius’s religious beliefs.